A thoroughly seasoned listener knows a) that the room is the single most important component in any loudspeaker system; and b) that listening rooms at home rarely if ever approximate the size and/or acoustic make-up of a show’s (hotel) room. 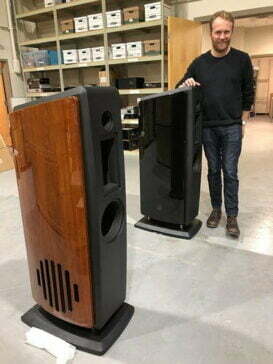 Audio show exhibits see us kiss goodbye to reliably judging loudspeaker performance. Going room to room in a hotel, we might attempt to pit System1 + Room1 vs. System2 + Room2 but at home, this equation becomes simpler: System1 + Room1 vs. System2 + Room1. High school maths tells us that the Room1 variable – common to both sides – can be subtracted to leave System1 vs. System2. Putting loudspeakers that make an attempt to sidestep the room’s influence to one side (think: Kii Three and Dutch & Dutch et al), what we hear at a show is rarely a reliable indicator of what we might hear at home. We can ascertain its general flavour (is that chocolate or strawberry?) but in talking to a loudspeaker’s finer points (do I detect a hint of almond? or is that pistachio? ), we should exercise caution, for it is these finer points that often make or break a purchasing decision. Think about it: if we hear a loudspeaker at a show as ‘zippy’ up top or midrange reluctant, how do we know it’s not the amplifier or the source? (Answer: we don’t). 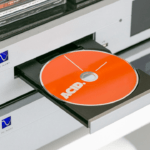 In Chicago this weekend, PS Audio will give AXPONA attendees a peek at their forthcoming statement DAC that will begin shipping in Q4 of this year. Like the immensely popular DirectStream DAC, the Obsidian Series Signature DAC has been designed by Ted Smith. According to PS Audio PR, the statement DAC will reportedly “exceed the performance of six-figure units”. To cut through the marketing boasts we must ask “Which six-figure DACs?”. The super-affable Ted Smith, Bill Leebens and PS Audio CEO Paul McGowan will be on hand to answer these questions and more. And if audio show hardware auditions are fraught with insurmountable challenges, why attend at all? Any website can tell you about Parasound’s new 200 Integrated (US$1195) – that its DAC, MM/MC phono stage and line-level inputs feed a 110wpc Pascal Class amplifier stage – but only by being at AXPONA room #729 can we see its low-profile chassis from all angles and turn its volume wheel to help discern build quality. 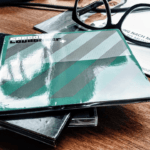 Next article Global feedback: Do you still listen to CDs?